Bali and Singapore are among the most popular holiday destinations in the world. 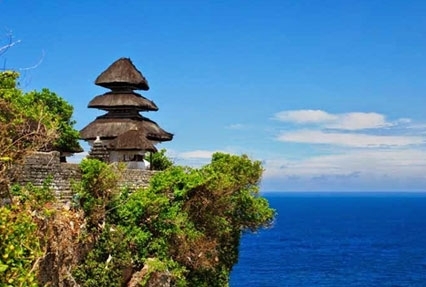 Bali is renowned for its beaches, culture and heritage. In addition, it is the perfect diving spot and a heaven for surfers. While Singapore is highly-developed country with all the modern amenities and entertainment options you could think of. The 9-day well-planned tour package offers besides the amazing destinations, a luxury cruise packed with entertainment. With Singapore Extravaganza with Cruise & Bali Tour, Indian Holiday offers an opportunity to enjoy a cherished holiday with unparalleled services. Itinerary can be changed as per Cruise Dates. Enjoy at the exotic beaches in Bali. Enjoy the entertainment options aboard the Cruise. 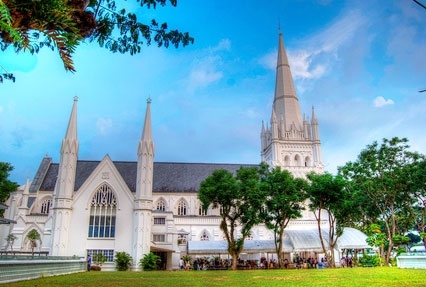 Check out the exciting tourist attractions of Singapore. Start your day of Singapore with Cruise and Bali tour with a visit to Tanjung Benoa. 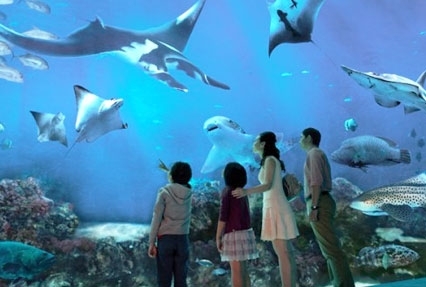 This is a perfect place for you and your family to enjoy the various marine activities available. Enjoy parasailing, banana boat, Jet Ski, Rolling Donut, Flying Fish, Snorkeling, Scuba Diving, Glass Bottom Boat, Turtle Island and many more. Take a break from the excitements for a delicious lunch at an Indian Restaurant. Post lunch, proceed to Blue Point Beach. Move on to enjoy a breathtaking view of sunset from the Cliff next to Uluwatu Temple. Enjoy the magnificent Kecak Dance Performance. Return to hotel for the night. Begin the day with sumptuous breakfast at the hotel. 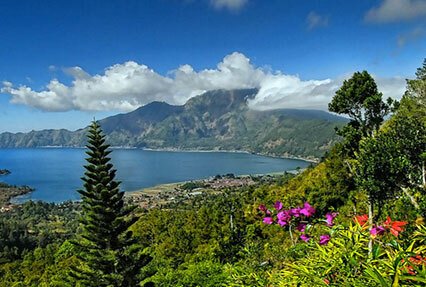 Later, get transferred for a full day excursion to the Kintamani Volcano. 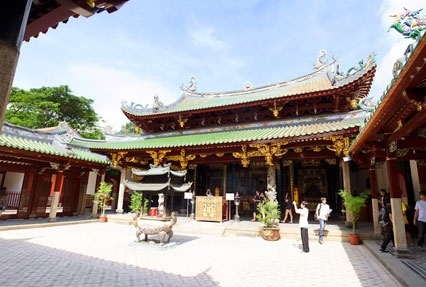 This excursion during Bali with Singapore cruise tour lets you experience up-close the essence of Bali and is one of the most favored circuits in Bali. Visit the Batuan village (famous for traditional batik and hand weavings), Mas village (famous for Wood carving) and then past the Celuk village famous for silver and gold works). Next, proceed to one of the most historical & ancient Hindu temples of Bali. Continue your tour to The Mount Batur & Lake Batur in Kintamani village for stunning views of the beautiful locales in this region. Stop for delicious lunch. 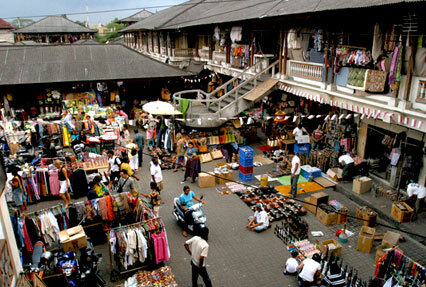 The day's sightseeing ends in the famous Ubud market. Browse through the various shopping options to satisfy your shopping taste buds. 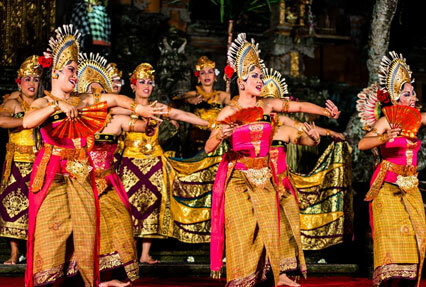 Attuned an optional show of Barong Dance, the most famous & sensational Balinese dance performance. This stage performance lasts for about an hour & presents the endless philosophical battle between good and evil. Return to the hotel and stay overnight. 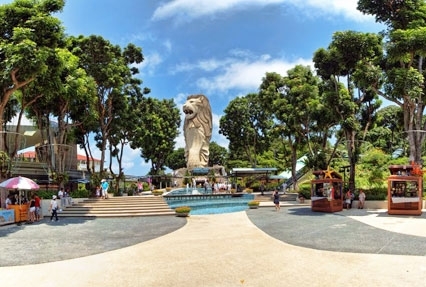 This day of Singapore with cruise and Bali tour you get set for one of Singapore's major attractions, The Universal Studios. The world famous Universal Studios gives a chance to live beyond the stories and characters of cinema. No matter what your age is Universal Studio has a lot to offer; exciting rides, shows, shopping and much more awaits you. Some of the attractions inside are Transformers the Ride: The Ultimate 3D Battle, Shrek 4D Adventure, Battlestar Galactica: Human vs Cyclon, Revenge of The Mummy, Madagascar: A Crate Adventure Jurassic Park Rapids Adventure etc. Stay overnight in the hotel. 35 Restaurant and Bars Concepts on Board. Specialty fine dining restaurants Like Umi Uma, Bistro, Hot Pot, Silk Road etc. Bar City which includes JW house, Penfolds wine Vault, Red Lion Pub,Bubbles, Humidor, Mixt etc. Specialty Bars and Lounge Concepts like BAR 360, Lobby Bar, Lobby Café, Breadbox etc. Entertainment places like Zodiac theatre, Zouk Inside, Zouk Beach Club, Silk Road & Cabaret, Karaoke lounges etc. Sport activities like waterslides park, Sport Plex, Mini-Golf, Rock Climbing wall. Rope Course, Pool decks etc. Recreational Activities like Spa, La Salon, Gentlemen’s Barber, Crystal Life Fitness, etc. Live production shows, Voyage of lover’s Dream, Rhythm Divine, first-ever ‘China’s Got Talent -The Dream. Up to 6 meals per person per day. Access to entertainment venues, sports and recreational areas, swimming pool, Jacuzzi, gymnasium, etc. The Lido - Deck 16 – Indoor/outdoor venue for breakfast, lunch and dinner. Dream Dining Lower – Deck 7 - Ballroom dining serving Chinese and Asian Cuisine, Live Performances. Liquor, laundry, telephone calls, dining at alternate restaurants, beauty and spa treatment, soft drinks, onboard shopping and medical services, Gratuities to be paid on board. Port charges to be paid extra. Little Pandas Club (LITTLE PANDAS CLUB (Deck 16 MID) An exclusive non-chargeable venue for kids where programs are designed for kids 2-12 years of age. It offers a menu type concept where kids can freely choose from different kinds of activities with supervision from our professionally trained child care staff. Teen’s Programs (FEATURED ACTIVITIES & GAMES - TEEN’S KARAOKE TIME (Karaoke, Deck 6 MID) Teens can get to jam along together with their friends on-board as they sing their favourite karaoke songs. DJ MIXING CLASS (Zouk, Deck 17 AFT) Teens can learn the basics of becoming a DJ from our on-board professional spinners. HIP HOP DANCE CLASS (Zouk, Deck 17 AFT) Teens can get into the beat as our professional world class dancers teach them the basics of Hip. REACH FOR THE STARS – JUNIOR TALENT SHOW (ZODIAC THEATRE) - Exclusively for guests aged 5-16 years, this is their chance to pursue their passion and unfold their full potential as they showcase their talent in music, singing, dancing, aerobics or anything they love the most. - Judges comprising of the ship’s onboard Entertainers and / or celebrities will select the weekly winners based on ‘live’ performances and audience reaction. Please be informed that prepayment of gratuity fees SGD 21/- Per Person is now applicable for Genting Dream Cruise. Important Note: Gratuity charges are applicable for entire cruise duration and do not depend on earlier disembarkation (before completion of itinerary) by any guests. 03 Nights Stay in Bali with Daily Breakfast. 03 Nights Split Stay in Singapore with Daily Breakfast. 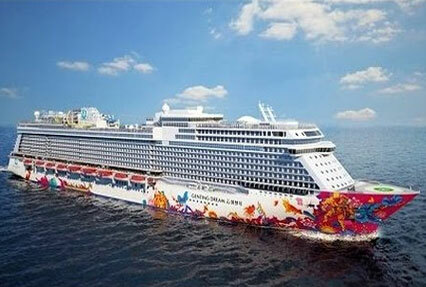 02 Nights on the Cruise (Genting Dream Cruise) in Singapore. All meals (Breakfast Lunch and Dinner) and Activities only on the cruise. Kintamani volcano tour and Ubud village tour. Night Safari tour in Singapore (Animal Show + Tram Ride + Fire show). English speaking guide assistance during tours and transfers. Free 01 GSM card number on arrival in Bali only. Bali Visa Charges. (Visa is on arrival and Free of Cost for Indian Passport Holders).